Every forest requires at least one Global Catalog server, that's why by default When you create a Windows Server Active Directory Forest, the first domain controller in the forest is automatically configured to be a Global Catalog server. The global catalog is a distributed data repository that contains a searchable, partial representation of every object in every domain in a multi-domain Active Directory forest. A global catalog server is a domain controller that, in addition to its full, writable domain directory partition replica, also stores a partial, read-only replica of all other domain directory partitions in the forest. In this article, I will show you how to set your additional Domain Controller as a Global Catalog Server as well. 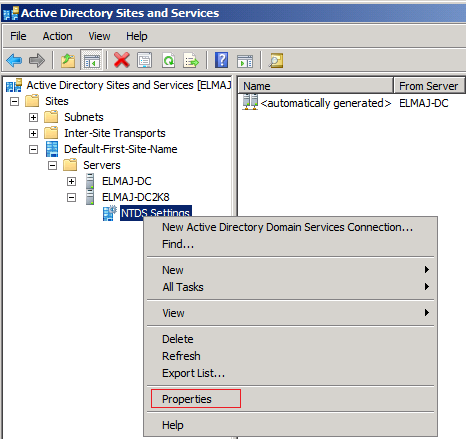 Open Active Directory Sites and Services, click Start > Administrative Tools > then click Active Directory Sites and Services. From the left side pane, expand Sites > Default-First-Site-Name ( If you have renamed the Site name, then this name will reflect your Site name) > Servers > Domain Controllers . Under the General Tab, there is a check box beside Global Catalog, if it is unselected then this means that this Domain Controller is not a Global Catalog, if you do want to set it as a Global Catalog server, then select this checkbox and click on Apply then OK. The process it takes the Global Catalog to replicate itself throughout the forest takes time depending on your Active Directory infrastructure. 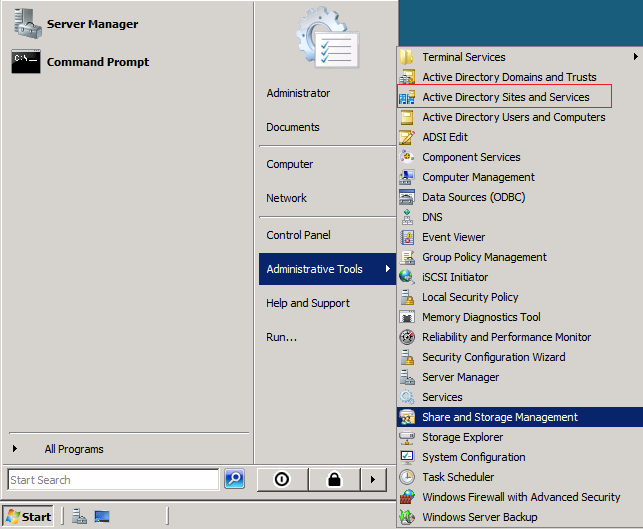 Close Active Directory Sites and Services and then restart the Domain Controller. A global catalog server is a domain controller that, in addition to its full, writable domain directory partition replica, also stores a partial, read-only replica of all other domain directory partitions in the forest. 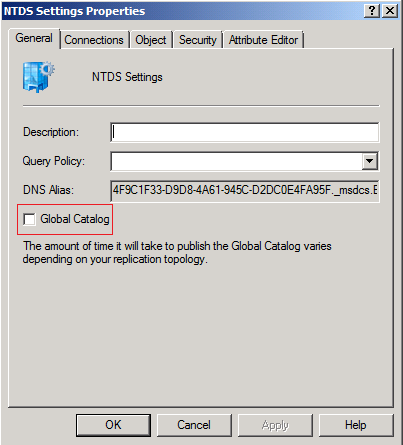 In this article, I have shown you how easy it is to set an additional Domain Controller to be configured as a Global Catalog.